Our wide selection of linens are designed to function in unison with the motion of your adjustable bed. 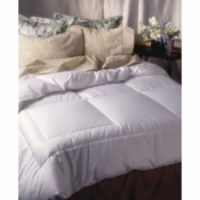 The sheets we offer will stay in place, the dust ruffles won't come off, and the comforters are made larger to give you full coverage in any position. Items with similar thread counts, such as 200 thread count sheets and 200 thread count comforters, are color matched as well. This means that you can design a bedroom that is both functional and great looking, all without worry. Body positioners are essential for adjustable bed owners when they go out of town and help many others get in just the right position for a night of deep sleep. 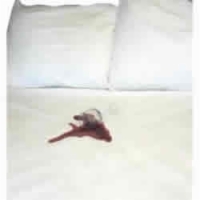 These comforters have been designed to be bigger than standard comforters of the same size, ensuring that you have complete coverage even as your adjustable bed is in motion. 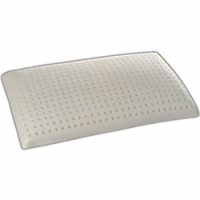 Standard mattress pads just don't work on adjustable bed mattresses, but these mattress pads have a fitted side that actually contours to the bed as it goes into motion. 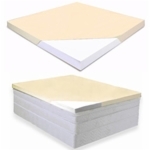 Memory foam toppers are made of high-quality viscoelastic memory foam and are meant to be placed on top of your current bed. This can give your bed the great features you find in full memory foam mattresses at a much lower price. 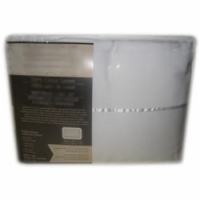 A large line of pillow types are available to compliment your adjustable bed from hypo-allergenic polyester pillows to ultra-soft down and feather pillows to the ultimate pillow, a contoured memory foam pillow. These sheets are made to better fit adjustable beds and won't come off as your bed moves. Each sheet set includes one fitted sheet, one flat sheet, and two pillow cases.